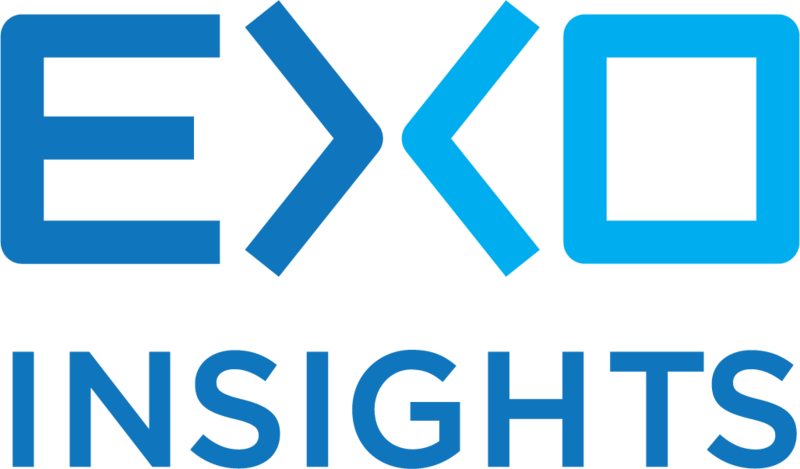 EXO Insights Corp. respects and values your privacy. In this General Privacy Notice(“Notice”), we describe our information practices with respect to the general EXOwebSite that post this Notice, which include but are not limited to www.exoinsights.com(the “Site”), and information that we obtain from individuals who otherwise interact with EXO, but who are not customers of our internet services and related products and services (the “Services”). By accessing the Site, by interacting with EXO in any way, including but not limitedto through phone, email, or mail, you consent to our data collection, use and disclosure practices as described in this Notice. We, our service providers, and/or third-party services may automatically collect certain information about you when you access or use the Site or otherwise contact us (“Usage Information”). Usage Information may include IP address, device identifier, browser type, operating system, information about your use of the Site, and data regarding network connected hardware (e.g., computer or mobile device). Except to the extent required by applicable law (e.g., an IP address in certain jurisdictions), or to the extent Usage Information is combined by or on behalf of Personal Information that is subject to thisNotice, we do not consider Usage Information (excluding, unique device identifiers) to be Personal Information subject to our description of data practices under this Notice and we reserve the right to collect, use, share and transfer Usage Information to the fullest extent not prohibited by applicable law or inconsistent with this Notice or representations made by us in writing at the time of collection. For instance, when you interact with EXO, we may automatically collect information on you regarding how you contacted us. This information may include your method of contacting us (URL, email address or phone number), the date and time you contacted us, and the frequency to which you have contacted us. In addition, EXO may collect and store the contents of those interactions that you’ve had with us. The cookies, tracking pixels, or similar now and hereafter known technologies or services (“TrackingTechnologies”) on our Site may collect Usage Information about your activities and interactions with us and the Site. For instance, we may use third-party services, such as Google Analytics, that use Tracking Technologies to conduct analytics of our Site, and we, our service providers and third-party automatically collect Usage Information about your use of the Site, including the areas or pages of the Site that you visit, the amount of time you spend using the Site, total downloaded items and sizes, the number of times you return, and other Site usage data. This information helps us to track and understand how visitors use our Site, and improve the performance and user experience of our Site. Some information about your use of the Site and certain third-party services may be collected using Tracking Technologies across time and services, and used by us and third parties for purposes such as to associate different devices you use. Regular cookies may generally be disabled or removed by tools available as part of most commercial browsers, and in some instances blocked in the future by selecting certain settings. Browsers offer different functionalities and options so you may need to set them separately. Also, tools from commercial browsers may not be effective with regard to Flash cookies (also known as locally shared objects), HTML5 cookies, or other Tracking Technologies. For information on disabling Flash cookies, go to Adobe’s websitehttp://helpx.adobe.com/flash-player/kb/disable-thirdparty-local-shared.html.Please be aware that if you disable or remove these technologies, some parts of the Site may not work and that when you revisit the Site your ability to limit browser-based Tracking Technologies is subject to your browser settings and limitations. Your browser settings may allow you to automatically transmit a“Do Not Track” signal to online services you visit. Note, however, there is no consensus among industry participants as to what “Do Not Track” means in this context. We are not responsible for the completeness or accuracy of this tool or third party choice notices or mechanisms. For specific information on some of the choice options offered by third party analytics and advertising providers, see the next section. CONSENT TO TRANSFER INFORMATION TO THE UNITED STATES Your information maybe stored on servers in the United States. If you are located outside of the United States, please note that information we collect will be transferred to and processed in the United States, using appropriate safeguards when necessary. EXO has taken certain physical, administrative, and technical steps to safeguard theInformation we collect from and about visitors to our Site. While we seek to ensure the integrity and security of our network and systems, we cannot guarantee the security of the Information you transmit to us. We encourage youto take precautions to protect your personal data when you are on the Internet. To the extent provided by the law of your jurisdiction, you may have the right to: (a) access certain PersonalInformation we maintain about you; (b) exercise your right to data portability;(c) request that we update, correct, amend, erase, or restrict your PersonalInformation; (d) withdraw your consent previously given; (e) request that we not share your Personal Information with third parties for ancillary or competing services; and/or (f) object at any time to the processing of your Personal Information on legitimate grounds relating to your particular situation. We will comply with such requests to the extent required by the applicable law of your jurisdiction, but may not accommodate a request if we believe the change would violate any law or legal requirement or cause the information to be incorrect. We may take steps to verify your identity before granting you access to your information. You may, depending on your location, have a right to file a complaint with a government regulator if you are not satisfied with our response. Note: If you choose not to provide us with certain information or to turn off or limit certain Tracking Technologies (such as cookies), we may not be able to offer you certain Services, or you may not be able to access certain features of the Services, or the Services may not function properly or at all.